An online slots player from Eastern Cape, South Africa named Chere S. is glad she listened to her BFF and checked out Thunderbolt Casino last month. 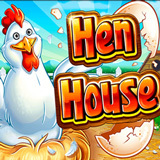 Not long after she started playing at the popular South African online casino she had an incredible R106,069 winning streak on the Henhouse slot game from Realtime Gaming. Lekker! Chere had a tip of her own for fellow online slots players: “When you win big, cash out!” She's is glad she took that advice herself. She said she’d use her windfall to add on to her house. Hundreds of online casino games played in Rands with customer service in English or Afrikaans. Chere’s husband was asleep during her late-night winning spree. Thunderbolt Casino offers hundreds more games from RTG. Next week they’ll introduce the new Secret Symbol slot. The Aztec-themed game has an Expanding Wild and Scatters trigger free spins where wins are multiplied up to 20X. At South Africa’s Thunderbolt Casino, customer service is available in both English and Afrikaans and the currency is Rands. Its most popular games are also available in its mobile casino for smartphones and tablets.